BELFAST/LONDON (Reuters) - The British government is to cut the pay of members of Northern Ireland's parliament in its latest attempt to break a political deadlock that has left the region with no government for almost 20 months, the minister for Northern Ireland said on Thursday. "As this impasse continues, public services are suffering. Businesses are suffering. 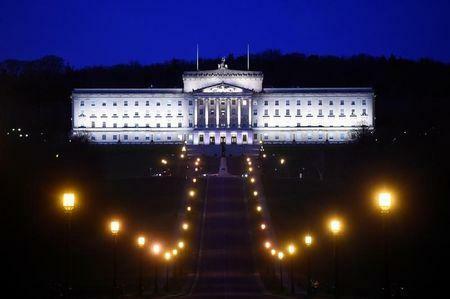 The people of Northern Ireland are suffering," Bradley told parliament. "Local decision-making is urgently needed to address this." At the same time legislation will be introduced to provisions to give "greater clarity and certainty" to the civil service to take decisions in Northern Ireland to ensure the delivery of public services, she said.